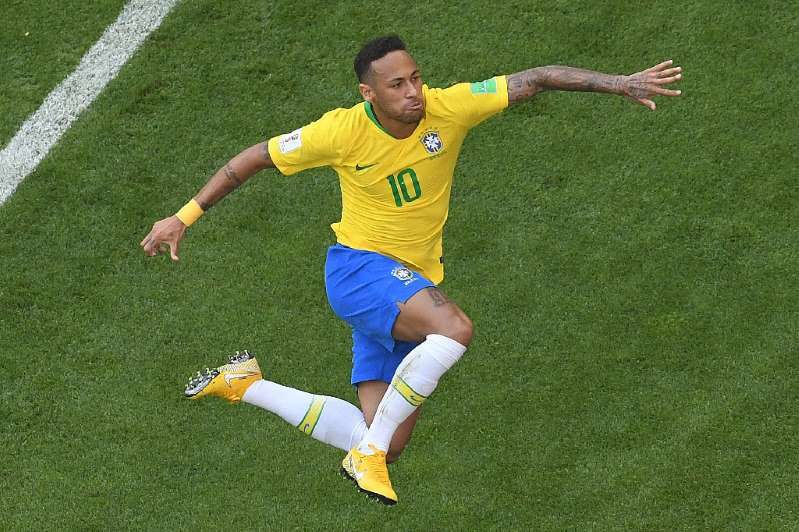 SAMARA: Brazil superstar Neymar brushed off his critics after firing the five-time World Cup winners to victory over Mexico on Monday and into a quarter-final showdown with Belgium. Neymar scored one goal and created another as his increasingly impressive Brazil side overpowered the Mexicans 2-0 in sweltering conditions. But Neymar’s sparkling performance was tarnished by yet another example of his tendency to overreact to seemingly innocuous challenges. The latest chapter in a bulging catalogue of histrionic behaviour came in the second half, when Mexico midfielder Miguel Layun appeared to step on his ankle as he lay prone. Neymar writhed around and convulsed as if he had received an electric shock. “I think it’s a shame for football,” Mexico coach Juan Carlos Osorio lamented afterwards, saying Neymar’s antics had wasted precious time. “We wasted a lot of time because of one single player … we lost our style in the second half, because of the referee. “There is no doubting the ability of him. He is a magnificent player,” said Shearer, who is working in Russia for Britain’s BBC. “I don’t care much for criticism, or praise, because this can influence your attitude,” he said. Brazil defender Thiago Silva meanwhile heaped praise on Neymar, who only returned to playing shortly before the tournament following an injury layoff of more than three months. Against Mexico, Neymar burst into life after Brazil weathered early pressure from opponents determined to end a 32-year wait to reach the quarter-finals. The 26-year-old talisman struck the opening goal on 51 minutes to Brazil 1-0 up. The Brazil talisman drew several defenders as he ran across the edge of the area with the ball at his feet, before passing to Willian and continuing his run into the box. Willian duly returned the favour and Neymar was on hand to poke the Chelsea midfielder’s superb delivery past Guillermo Ochoa. As Mexico lost heart, Brazil could have added more as probing counters carved open Mexico’s defence, Real Madrid midfielder Casemiro notably testing Ochoa with a drive the ‘keeper blocked. The result was settled when Layun lost possession in the dying minutes. Neymar went on a counter-attack that drew Ochoa from his goal before finding Roberto Firmino with the finest of touches from the outside of his right boot. With only two goals, Neymar is lagging well behind England star Harry Kane’s tournament-leading tally of five goals. But Silva is hoping Neymar emulates the recent feats of other Paris Saint-Germain clubmates Edinson Cavani and Kylian Mbappe on his way to taking Brazil further.